﻿﻿Just got your video of The Right Stuff [I won the DVD at the Planetarium after answering a skill testing question] that you recently saw at the Vancouver Planetarium. I started to watch it at once. 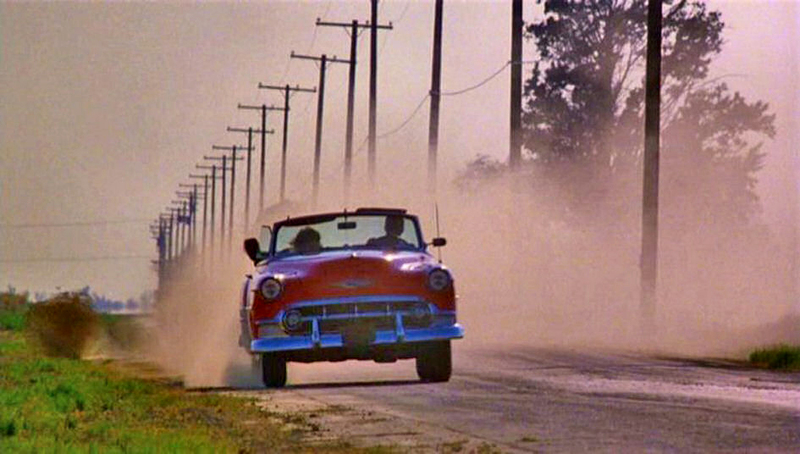 The first few minutes brought back many long lost memories both of the movie and of life. 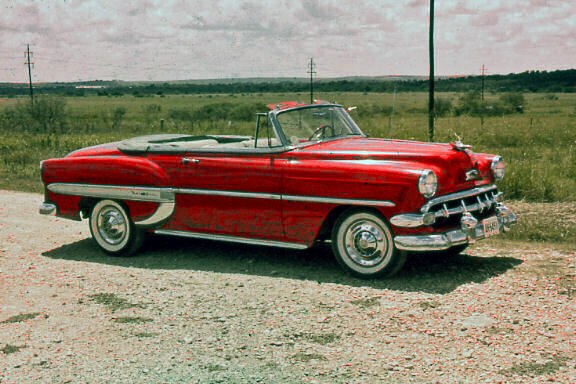 One in particular was of soon-to-be astronaut Gordon Cooper driving to Edwards with his wife and two girls in a car like mine (see attached picture of my first car). Other things remembered included the scenes of flying through the clouds as we did many times on our training flights in the T-38 (F-5). 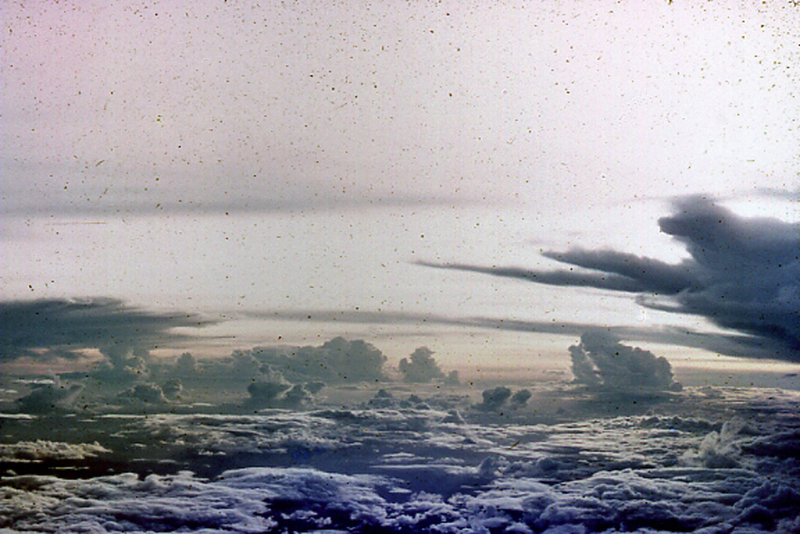 Attached are two pictures taken at about 35,000 feet over the Philippine Sea from a KC-135 in 1970. The scenes from the pilot's perspective of the instruments: The altimeter rapidly rotating down past the 10,000 level where the crosshatches appear in the warning window reminded me of our spin training in the T-37. If those crosshatches appeared during a spin, you were in deep doodoo and immediate action was required to recover! 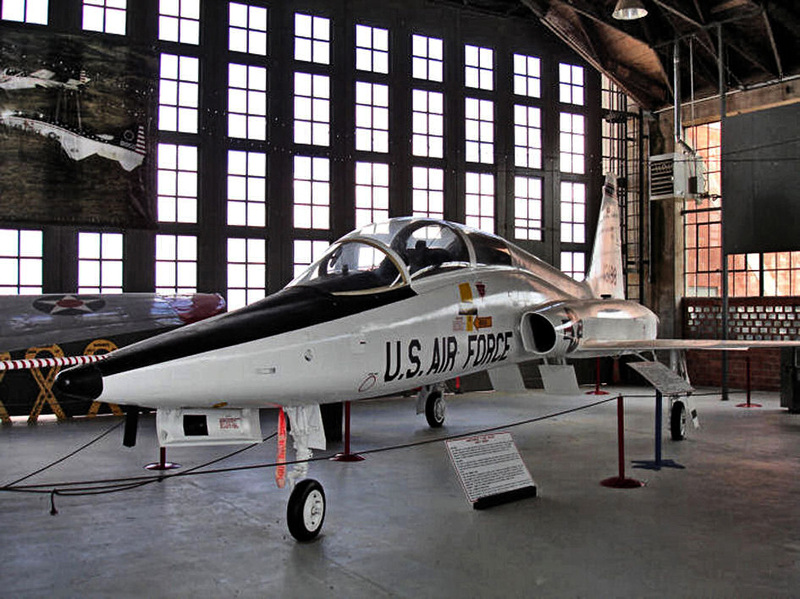 Two pictures of the T-37 and T-38 are attached. 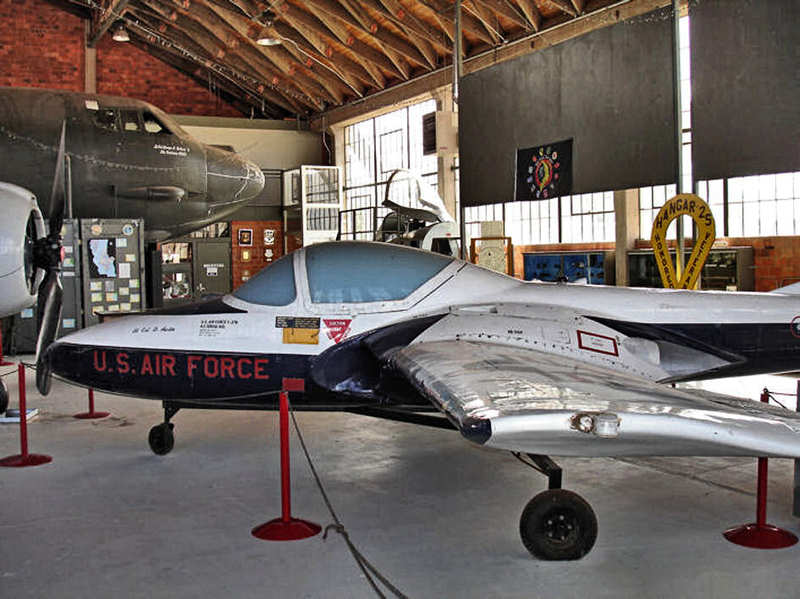 They are in a tiny museum at what used to be Webb AFB, in Big Spring, Texas where I went to flight school. I may have flown one or both of these at one time or another. They were never retired, they just keep maintaining them. I, too, have flown faster than the speed of sound, for about a minute. They let us go through the sound barrier once in the T-38 so we could say we did it. The locals around Webb did not like the sonic booms. They said it scared the chickens and the cattle and they would file a claim if it went on too long. There was no sensation at all - no vibration, nothing except the movement of the mach meter. Such is the difference between 1952 and 1969, a mere 17 years. 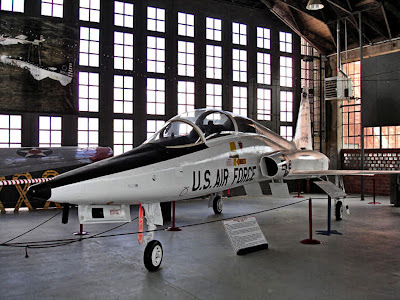 "The T-38 is of conventional configuration, with a small, low, long-chord wing, a single vertical stabilizer, and tricycle undercarriage. The aircraft seats a student pilot and instructor in tandem, and has intakes for its two turbojet engines at the wing roots. Its nimble performance has earned it the nickname white rocket. 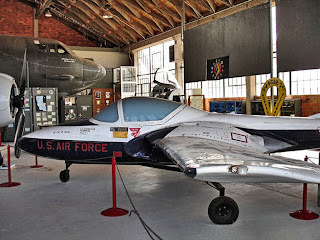 In 1962 the T-38 set absolute time-to-climb records for 3000, 6000, 9000 and 12000 meters, beating the records for those altitudes set by the F-104 in December 1958. (The F-4 beat the T-38's records less than a month later.)" We always took off in the T-38 at full burner. Note the rate of climb set out below: That's 6.36 miles per minute -- It would climb almost straight up. Breathtaking! Life - long, long ago in a galaxy far, far away. Addendum: Howard Houston and I began our friendship (we did not know this then) as freshmen at St. Edward’s High School in Austin, Texas. I was a boarding student (my home was in Nueva Rosita, Coahuila, Mexico) and Houston lived in town so he was a day student. I did not begin to know him until grade 11. He was one of those very smart enough students who knew just how little to study to get by and somehow get a decent grade. In grade 11 (now that I am a Canadian I resist that very American 11th grade) I was extremely jealous of his ability to not only speak intelligently but to write brilliant essays with all kinds of humour and style. It seemed to be effortless for him. Upon graduation, the only pictures I have of my graduation must have been taken by Houston’s dad, we were friends and somehow when I invited him to visit me in Mexico City he took up the offer (his parents obliged) and he showed up with a brand new Miranda reflex camera that had all kinds of features that my Pentacon-F did not. 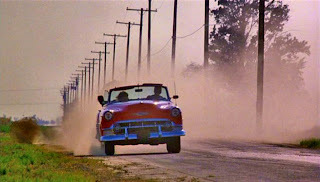 Houston dedicated much of his time to photograph Mexican built American cars. 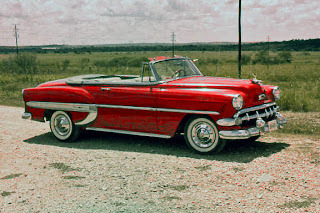 In particular he had a fondness for the Dodge Kingsway that had a Dodge grill but Plymouth fins. Thanks to the web, to email and Skype we are now good friends and we keep in touch and tell each other about favourite books (mostly of the historical kind) and films. We avoid politics. He is a gun-toting Texan, enough said! Houston is a quiet man not the type to boast about anything but in bits and pieces I found out that when he knew he was going to be drafted around 1964/65 he did not in any way attempt to avoid it. He was concerned that he might have to spend a couple of years walking as a grunt. He did not want to walk. 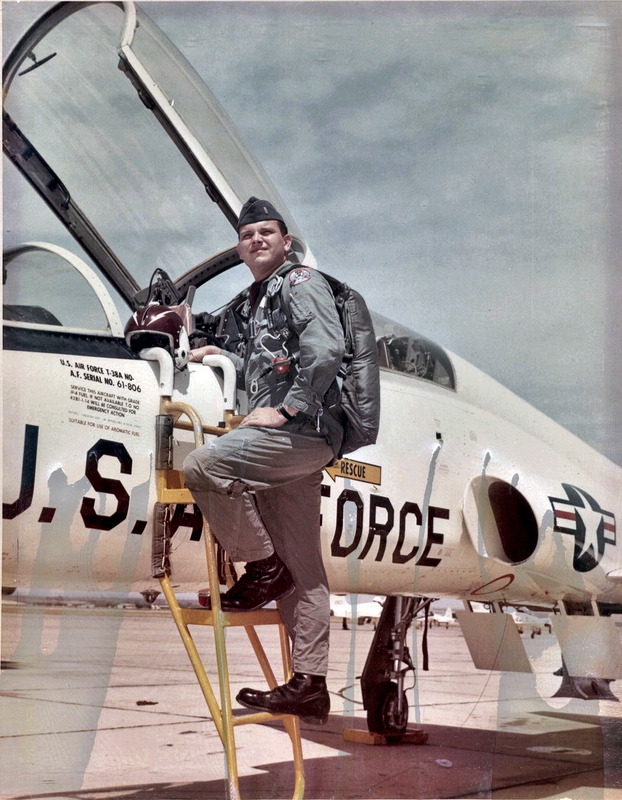 With the ease of someone who can write intelligent essays in his sleep he became an officer and went to flying school. 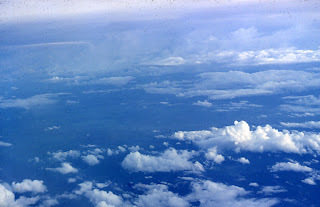 His desire had no aspect (from what I can tell) in a love for airplanes or a desire to fly. It had to do with not wanting to walk. Alex: A friend of mine asked a question regarding my previous email on the blackbird. I thought you would be interested, so here is my reply. Were the wing-leading edges glowing cherry red during refueling on occasion? Cherry red is perhaps a bit of an overstatement, but the boom operators did say that the leading edges and other such surfaces would glow a dull red. I do know that when they took off, they were towed to the end of the runway with an entourage of fire trucks, crew vehicles, and ground power units and that they started them there just prior to takeoff. I will try to describe the takeoff as I remember it. It started with a low growl and then built to a truly god awful roar. A B-52 was also loud, but the noise was different - the B-52 sounded powerful and loud, but the SR-71 sounded like an enraged T-Rex after something had bitten his tail. Two humongous engines in full burner will do that. It would roll down the runway (This is a BIG plane, by the way, 108 ft long) not too far, then the nose would come up slightly, then it would lift off, the gear would come up, it would rotate up to at least 45 degrees, it would climb up a few thousand feet, then it would disappear, almost straight up! Incredible!There are some videos on youtube but they don't do it justice. Their KC-135s were specially equipped to handle their fuel because the fuel was supposedly some sort of jellied kerosene (Napalm??) and a regular jet engine would not burn it. The tankers had a fuel control panel in the cockpit that the co-pilot operated. We had six wing tanks, two main body tanks and a couple of other small body tanks. All were controlled by switches on the panel and we could feed our engines from any tank or combination of tanks. On the SR-71 tankers the two main body tanks were equipped with red safety covers that would be wired shut when there was blackbird fuel on board. Their purpose was to keep stupid co-pilots from choking the 135 engines to death by accident. In addition, the blackbird tankers had strobes at the wingtips and tail to be used in radio silent night-time refueling rendezvous. This was very handy with regular night time refuelings and should have been on all the tankers. I did not ever refuel a blackbird, just flew their tankers which were a part of the normal fleet of 135's at Kadena. They had specially trained crews for those missions. The Blackbird was super secret, so they always closed the curtains on the window wall across the front of the civilian terminal building at Kadena when a Blackbird was going to take off, everyone knew what this meant, so everyone ran out to the full balcony that ran across the building in front of the windows to watch! 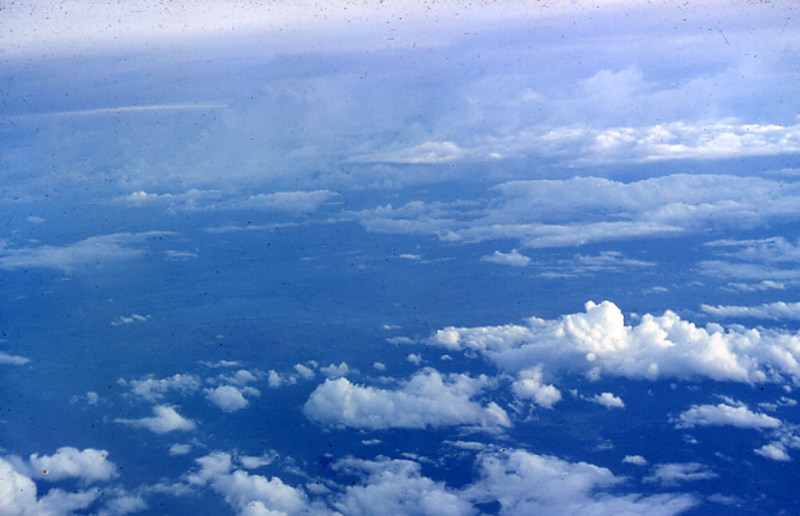 (Kadena AFB was also the Okinawa Civil airport - USAF on the West side, civilian on the East) . Chuck Yeager: I always had 20/10 in each eye. That's twice as good as normal, from eight inches to infinity. I'm sixty-eight on February 13, and I still have that sight. I'm very lucky. With that kind of vision, you can see into the next dimension! And a ME-109 at 10 miles.